We’ve pretty much all done it. Clicking around Windows Explorer, at lightning speed, it’s pretty easy to inadvertently move folders. This causes difficulty when trying to find the folder which is now in the wrong spot. It happens. But now, you can stop it. 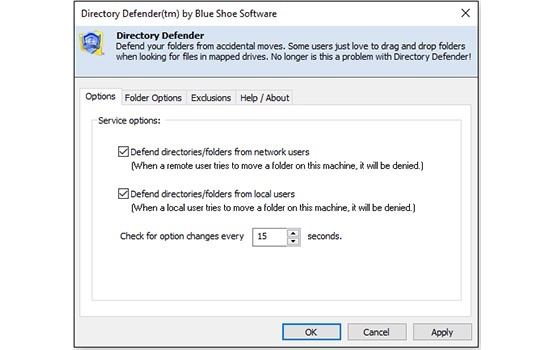 Directory Defender monitors any folder movement and displays an error message to prevent such action. Stop unintentional folder moves from happening before they start. Filter protection by folder. Protect every folder, or just a few select folders from being moved. 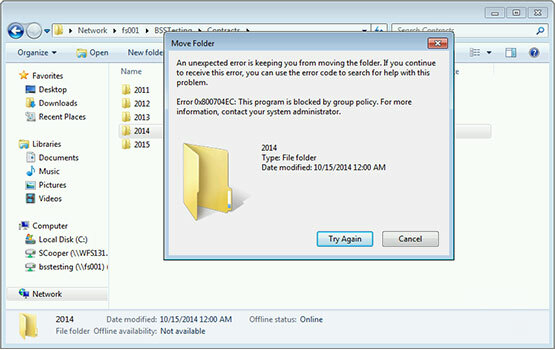 Exclude users and groups from blocking folder moves. 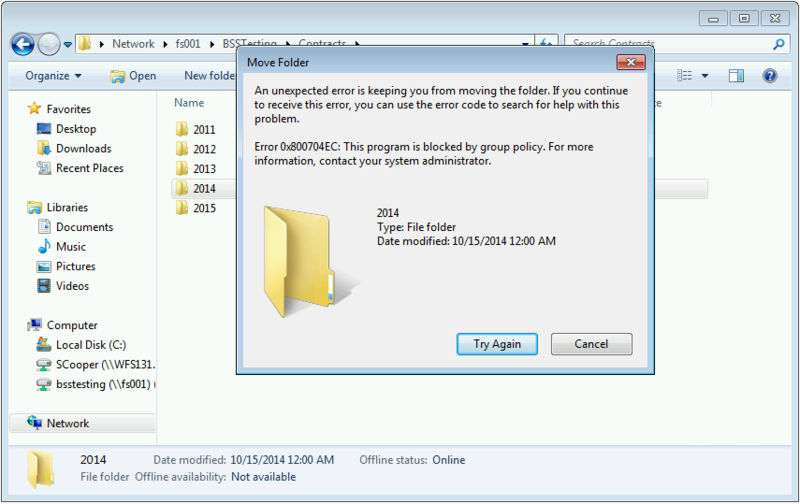 Block the entire folder structure, or choose specific folders to protect. Exclude users and groups like Domain Admins so they can move any folder. 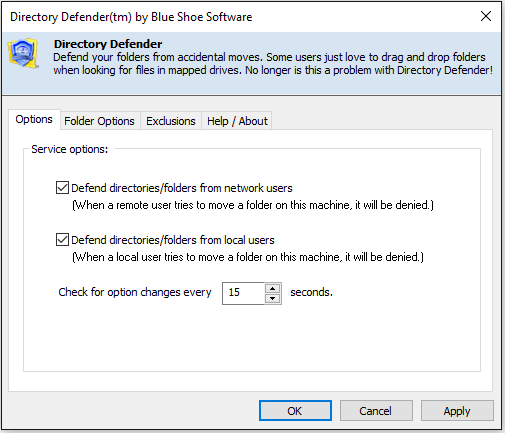 "To conclude, Directory Defender is a useful and reliable application that can save you a lot of trouble by ensuring folders remain in the same path where you placed them, blocking local and network users from moving them."